Spring Cactus in Bismarck ND - Dutch Mill Florist, Inc. 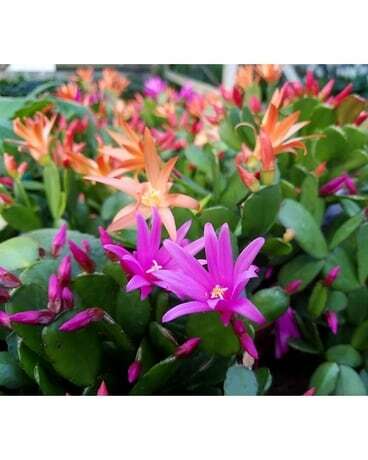 Bright, Cheery and long lasting blooming plant. I remember my Grandmother had one for years! Please allow us to choose the prettiest color on your delivery day . Comes with a pretty bow too.